Contested Waterscapes in the Mekong Region: Hydropower, Livelihoods and Governance. 2009. Francois Molle (Editor), Tira Foran (Editor), Mira Kakonen (Eds). Earthscan, London. Volume 2 in the M-POWER Book Series. Series editor: Rajesh Daniel. The catchment area of the Mekong River and its tributaries extends from China, through Burma/Myanmar, Thailand, Laos, Cambodia and to Vietnam. The water resources of the Mekong region – from the Irrawaddy and Nu-Salween in the west, across the Chao Phraya to the Lancang-Mekong and Red River in the east- are increasingly contested. Governments, companies, and banks are driving new investments in roads, dams, diversions, irrigation schemes, navigation facilities, power plants and other emblems of conventional ‘development’. Their plans and interventions should provide some benefits, but also pose multiple burdens and risks to millions of people dependent on wetlands, floodplains and aquatic resources, in particular, the wild capture fisheries of rivers and lakes. This book examines how large-scale projects are being proposed, justified, and built. How are such projects contested and how do specific governance regimes influence decision making? The book also highlights the emergence of new actors, rights and trade-off debates, and the social and environmental consequences of ‘water resources development’. This book shows how diverse, and often antagonistic, ideologies and interests are contesting for legitimacy. It argues that the distribution of decision-making, political, and discursive power influences how the waterscapes of the region will ultimately look and how benefits, costs and risks will be distributed. These issues are crucial for the transformation of waterscapes and the prospects for democratizing water governance in the Mekong region. 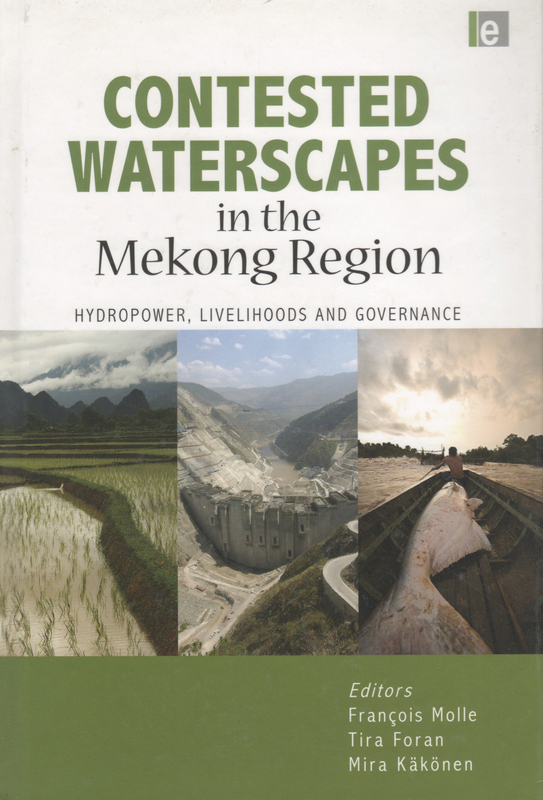 The book is part of the action-research of the M-POWER (Mekong Program on Water, Environment and Resilience) knowledge network. Published with IFAD, CGIAR Challenge Program on Water & Food, M-POWER, Project Echel-Eau and Heinrich Boll Stiftung.